DOL released a proposed rule and interpretive bulletin to help guide states in developing state-run retirement plans. Complying with a directive from the White House, the Department of Labor on Monday released a proposed rule and interpretive bulletin to help guide states in developing state-run retirement plans that don’t run afoul of ERISA. DOL filed Sept. 3 with the Office of Management and Budget its proposed rule designed to make it easier for states to offer their own retirement plans without running afoul of the Employee Retirement Income Security Act. 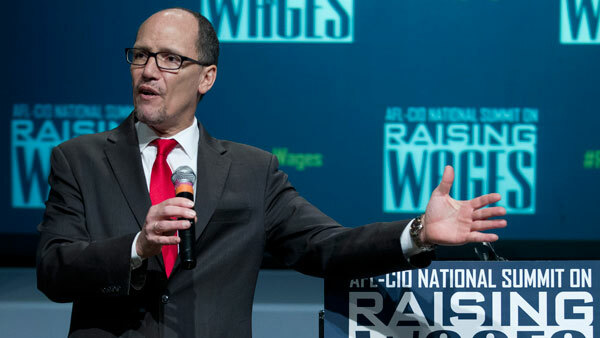 During the White House’s Conference on Aging, held in July, President Barack Obama directed Perez to publish a proposed rule to “provide a clear path forward for the states to create retirement savings programs” by year-end. Specific to the proposal is a new safe harbor from ERISA for state-sponsored IRAs that conform to certain provisions. The proposal would adopt a standard stating that state-sponsored payroll deduction IRA programs must be “voluntary” for workers, rather than “completely voluntary” as defined in a 1975 rule. “This will allow for automatic enrollment of employees in such programs so long as they are given the ability to opt out, and employers are minimally involved,” DOL states. Comments on the proposed rule are due by Jan. 19. DOL also published an interpretive bulletin regard creating state-based ERISA-compliant 401(k) plans that are open to businesses and workers. In addition to payroll deduction IRAs and state-based 401(k)s, the bulletin provides examples of how to create state retirement savings programs that may avoid being preempted under ERISA. Illinois Treasurer Michael Frerichs said that nearly 1.2 million workers are poised to benefit from Illinois’ state-run plan, the Secure Choice Retirement Savings Program. “With these new federal rules, my administration can move forward with helping some of our state’s most vulnerable workers,” Frerichs said. Similar state-run initiatives to Illionois’ are underway in Oregon and California, with Washington launching earlier this year a small plan marketplace. Approximately half the states are currently considering state-run measures, according to the American Retirement Association, which takes issue with allowing state-run plans. While some state-run programs, notably Illinois’, allow a traditional ERISA retirement plan, such as a 401(k), to satisfy the mandates, DOL’s proposal “would extend an ERISA shield without that option,” ARA says. The state plans, what AARP calls “Work and Save,” provide “a dynamic route to retirement savings for millions in the private sector, in partnership with private sector employers and state government,” she added. — Check out 4 Forces Driving Retirement Industry Trends on ThinkAdvisor.